About two months ago, a favorite client came to us wanting to know what makes a modern brand. What makes a brand today resonate and grow? It’s not marketing. What we’ve discovered is that it’s about being purpose-driven, and using that purpose to drive innovation. Modern brands are based on listening, being transparent, and delivering a great experience at every turn, not just in a slick or funny ad. We have identified six principles to follow for any company to become a modern brand, and a thriving business in 2018. Your purpose, your reason for being, needs to radiate throughout your company. If it doesn’t permeate every decision and division, it won’t resonate as authenticate nor hold value. This is particularly true with the largest generation ever, Millennials. It is not an easy feat, but when you find your driving purpose and embed it in the hearts and minds of every employee, you’ll find success naturally follows. Modern brands are driven by purpose. While this may sound one in the same, they are very different. You must align your company around the experiences of the people who actually use your brand. Examine every touch point – does your purpose radiate through each? Are you delivering best practices across the board plus that extra layer of uniqueness, when needed? Every experience needs designing – from a chat session with customer service to a new hire interview to the product itself. It is not about the big perception an ad can create to lure a buyer; rather, momentum comes from delivering at every little touch point of the user experience. Modern brands focus on the user. Today, companies cannot afford to be stagnant, or they will get passed up by the competition, or more likely, the pace of innovation itself. Companies need to continuously innovate and drive more value to their customers. However, innovation for innovation’s sake doesn’t drive value. Companies need to use their purpose as a runway for innovation, inspiring every employee to create anew in their role or discipline. Modern brands innovate with purpose, and without pause. Listening to your customer, more than talking at your customer, is how you unlock moments of connection that build loyalty and discover pain points that reveal new ideas. Listening more than talking is how you grow affinity. Listening isn’t the job of marketing alone. Product needs to listen, as does customer service and the executives setting the vision for the company. You listen not to obey, but to connect and derive inspiration. Is your customer inspiring you? If so, you might be a modern brand. Business transparency is respected by your customers. Sure, it may give competition a window into your business, but if your competitive advantage is based on your opacity, you may want to revisit principle #1. Customers like doing business with companies they can trust, and trust is supported by transparency. When you do speak, carefully consider how you speak. Encourage the voices of your customers to be louder than your own. Speak in a way that’s consistent and true to your purpose, and that reflects all the listening you’ve already done. Speak from a place of context, recognizing where a customer is and what they are trying to accomplish at that moment, both literally and emotionally. We’ve developed a way to establish your purpose, then measure how well you’re delivering on it throughout your organization. So, you’re able to prioritize your efforts beyond revenue goals and close gaps in your operational ability to deliver on your brand. Stop relying on marketing to shape your brand and use brand purpose to create inspiration for you employees and customers alike. We’re excited to talk more on this topic at the AMA’s Market Mix event on May 9. Come join us, ask a question, and be part of the conversation. Samantha Neukom is Partner and Chief Brand Officer of Northbound. Sam’s pedigree and agency experience provides clients a unique depth of vision, experience, perspective, and process insights. From East Coast big agency to West Coast boutique, Sam has honed her craft to a laser focus. For more than 20 years she has contributed to businesses such as Starwood Hotels, Bank of the West, Amazon, P&G, Microsoft, Redfin, Pfizer, Tylenol, WildTangent, Lenscrafters, Apptio, NetApp, Thomson Reuters, and Kaiser Permanente. 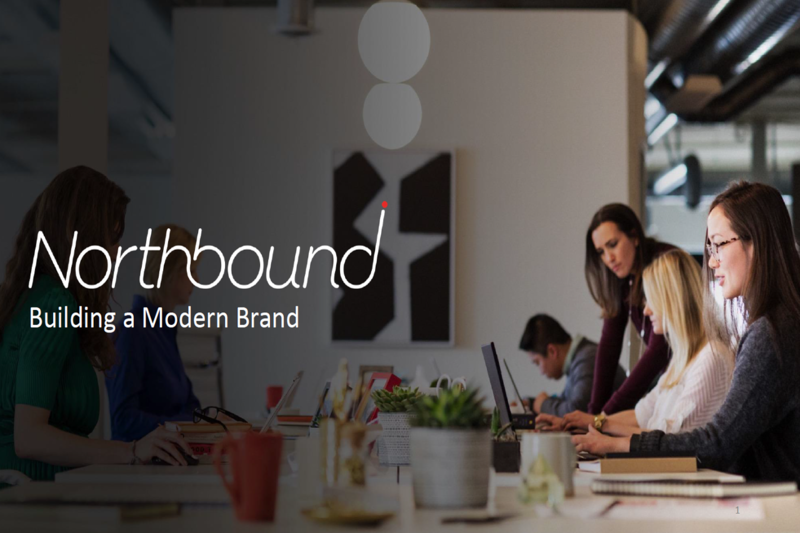 Northbound leads our clients to discover, demonstrate and move closer to their true North: purposeful, courageous, creative. We craft insights, strategies and design for our clients that deliver clarity and the kind of emotional resonance that makes a brand stick. We help clients transcend products and the velocity of cultural habits by creating meaning, memorability, and momentum through unforgettable storytelling. Our clients range from Fortune 100 to early start-up and everything in between. We offer: vision setting, customer insights, innovation labs, brand strategy, positioning, brand architecture, naming, creative strategy, storytelling & messaging, brand + digital design.